Post subject: Re: 2013 TC:E NextGen edition !!! a M4 and M4Sopmod have made it to the next round. Next stop for our guns is to make them ready for ingame use. Materials are added in a later stage. I don't think its from a game. Just replica model toy. shaders, materials and other sort of stuff that makes for a pretty game. it's for testing purposes only. and needed to do some minor work on it. content at a certain stage of development. Or it might be a lot of fun. Who knows ? Will post some new characters tomorrow, they can now grow hair on their babyfaces. - TCE was especially popular in the Linux/Free Software community. Having a part of the game closed-source is an acceptable restriction, but moving away to a wholly proprietary solution, what's more without Linux support, seems like a step backwards. - There are already a few UDK Tactical shooters in development. They tend to all get a use-all-the-colors-of-the-rainbow, play-doh feel, like here: http://www.youtube.com/watch?v=eE15QZomY0c or here: http://www.youtube.com/watch?v=ITDj0Fqu1vU ... or in the screenshots you posted. - Getting to the gameplay of TCE 0.49 took a long time, recreating the mechanics in a new engine will probably take a long time and many testing version - why start anew? The engine is really a non issue as long as it can do whatever the developer needs it to. Linux is a good point though but nothing major if you think about it. I've seen Takedown for the first time now and it really doesn't seem like your average FPS. Critical Point: Incursion or whatever they're calling it nowadays is said to be a CS like game and shouldn't even be mentioned when talking about tactical games. Why start anew you ask? Well, if Caesar succeeds, the community will get a fresh moddable game, on a constantly updated engine with constantly updated features and it seems a lot of effort has already been put into it. This means that there is a great potential for creating a game which will get upgraded and better with time. Let's face it, if you want to use IdTech, you are faced with the problems of using half finished unstable engines and are forced to distribute your work as open source. At this point the best way to go would be create a custom engine build and run the game as a mod with remade HD / next gen content which would be utter nonsense. The problem with CoD is that the remaining community is mostly not interested or even against modded content, no matter the quality. So as a mod, TC's biggest audience would be former TC:E players who aren't on Linux and own the game. And that is a small crowd. Linux is a good point though but nothing major if you think about it. The arguments you present of idTech vs UDK can be turned exactly the other way around. From all the mods which were created at the same time as True Combat (on quake 3), or since then, which of them still exist? · Those made for UT, UT2003 or UT2004, praised back then, have today simply disappeared. Strike Force, Tactical Ops, anyone? Who would go through the hassle of installing them nowadays, let alone modify them? 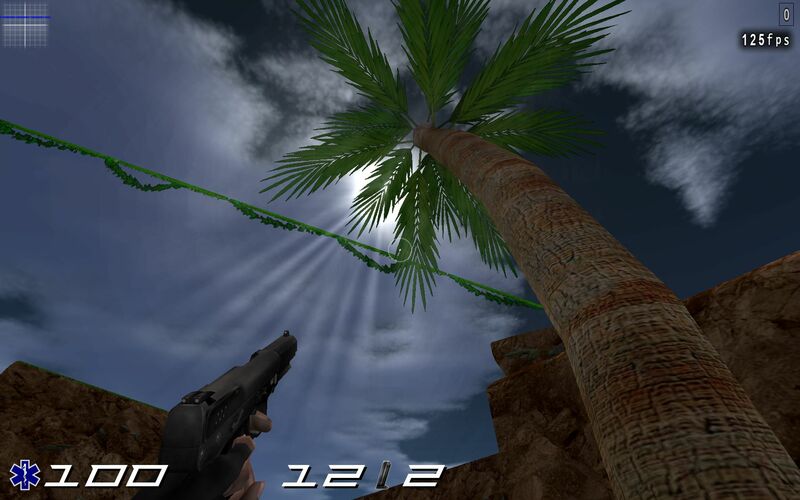 · Those made for Quake 3 ? Urban Terror : since they've gone stand-alone, they're successfully mixing open and closed-source parts, have a steady, if not growing playerbase, and managed their operations so well that they now have an ex-id Software developer working with them. Reaction Quake 3. Even if it's just a few geeks playing it, they can still happily enjoy it, and quietly released a GLSL-enabled, standalone version last year. Who can tell what happened to its counterpart Action Half-Life? COD 10 years, Battlefield 11 years. graphics card is a hungry beast that wants pretty stuff to process. We can haz Tessellation ? Yes we can ! game will also be added in due time, maybe in part 2 ? Haven't had the time to identify the brand and make of the ones with * yet. Will post the faces tomorrow, haven't found the time to do that today. Not that played anymore, actually. Used to be a lot more lively. Last time I checked - dead. At best you get 5 people. Surprisingly undead. Still, pretty much as alive as TC. Alright, I'll be honest, never tried this and not interested. My guess - undead. Last time I checked, wasn't flourishing. In the best case - stagnation. Aside from the numerous attempts to revive the thing (UNVANQUISHED USING XREAL BASED ENGINE OMGHAXORWTF), has a nearly identical situation to TC. Well... This is kinda odd. It just appears that people never seemed to try and mod the IdTech 3 as much as IdTech 2 (as in the graphical side). The oh-so-many graphical mods for Quake 2 just further reinforce this (probably the strongest example being Berserker@Quake2). to be converted first, but the list is growing. Alright, what the hell is the TF2 sentry gun doing there? I am excited to see more, I will be following progress quietly. correct animation is going to be somewhat of a hell, but well worth it. by it's creator, who used it for TF2... Pitty, I really could have used that one. The sentry gun was going to be used on a particular map for a new OBJ gameplay. get past the sentry gun alive. HOLY SH!!!!!! !7, that's just models, not even playermodels or textures. is no exception, largest being 180MB. Time to get a cold brewski and chill out for a few hrs. Plants, trees, buildings and cars. He who asks around, shall receive ? for others to upload textures to the library in the next two weeks. to make this game will make a big difference in it's end results. the WIP, I'm very stoked that the library contains this much already. Fiddled around with the new character to get different faces.